It’s that time of year again. The weather is getting nice just in time for you to spend hours and hours getting your lawn back in shape. Seems a bit crazy – as if we were human hamsters — especially when you realize there are few other countries in the world that lavish so much time, energy, and money on lawns. The short history of lawns in the U.S. is that several of our founding fathers (notably Thomas Jefferson) were enamored of the lawns they saw around the great estates of Europe – and decided to copy them. Lawns remained within the domain of the rich and powerful for about a century, at which time suburbs began to proliferate. The home books, magazines and ads of the mid to late 19th century showed cute little cottages surrounded by lawns. This landscaping feature became so ingrained in our psyche that most people don’t even consider the alternatives. There are many environmental benefits to be gained by downsizing the lawn. 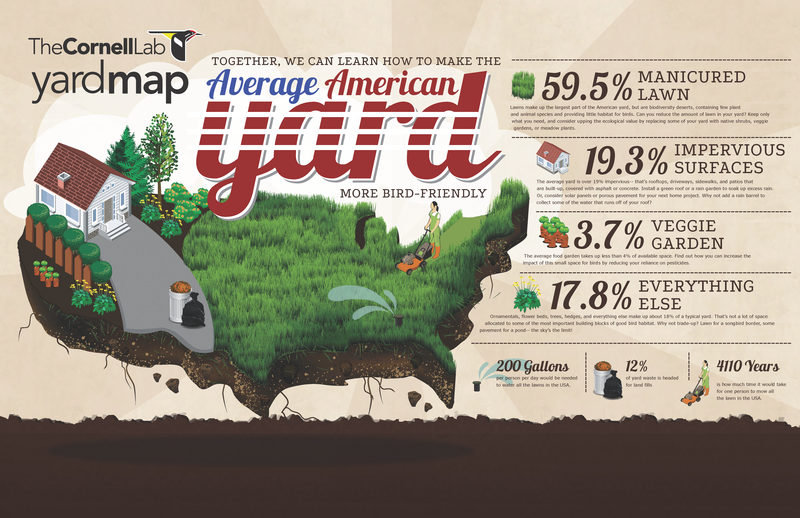 This infographic, put together by the Cornell University Lab of Ornithology illustrates the average American yard. This type of yard not only wastes energy and resources, but displaces habitat for birds, bees, and other wildlife. 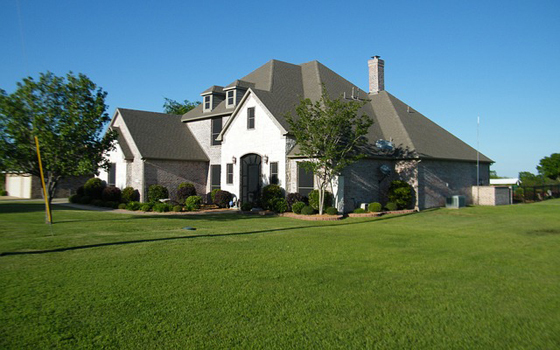 Lawns are an attractive and useful landscaping element when used in moderation, but most homes have lawns that are simply too big. Aside from the many hours spent on fertilizing, controlling weeds, and mowing, they waste energy and money, and contribute to pollution. 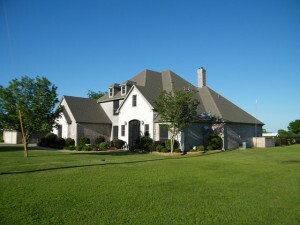 Lawns also require more water than shrubs and trees. Downsizing your lawn to only what you and your family need is a trend that is taking hold. Despite that, however, the average American lawn size is 1/3 of an acre according to the Audubon Society. It also says that lawn care takes the average homeowner 40 hours of drudgery per year to care for and maintain it. In an age of greener lifestyles, lawns should be near the top of the list of bad ideas. Sure, leave space for badminton or volleyball, or to open up a view to a prized garden bed, but eliminate the rest. Ground covers, ornamental grasses, garden beds, trees and shrubs all offer less time and money spent on maintenance. Every year you’ll spend less on fertilizer (did you know that most fertilizers are made from natural gas? ), pesticides, herbicides, outdoor power equipment, and mower fuel. Grow vegetables instead of grass and the benefits are even greater. Draw a site plan to scale on graph paper. Indicate the footprints of structures, including patios, decks, sheds and garages. Draw circles around areas where you need to be able to walk easily. Lay tracing paper over the plan and redrawn your lawn areas, focusing only on the areas you need to leave open. Don’t go overboard with flower and vegetable gardens. They generally cost more to plant and maintain per square foot than lawns – and are often more labor intensive. Choose islands planted with trees, shrubs, and ground cover, or covered with mulch. They are less labor intensive than lawns and in time will cost less to maintain. Look for logical ways to connect the lawn areas to each other and to existing paths and driveways. Connections between lawn areas should be at least 10 feet wide to ease mowing and to spread foot traffic. No need to reduce your lawn area all at once. Tackle one section per year. When your lawn is small enough, you may be able to handle mowing chores with a manual, push mower or battery-powered mower, further reducing your carbon footprint! Please let me know if tbis ok with you. Cheers! It’s OK to quote content that appears in myHOMEscience.com, as long as you state that this content originally appeared on myHOMEscience.com.